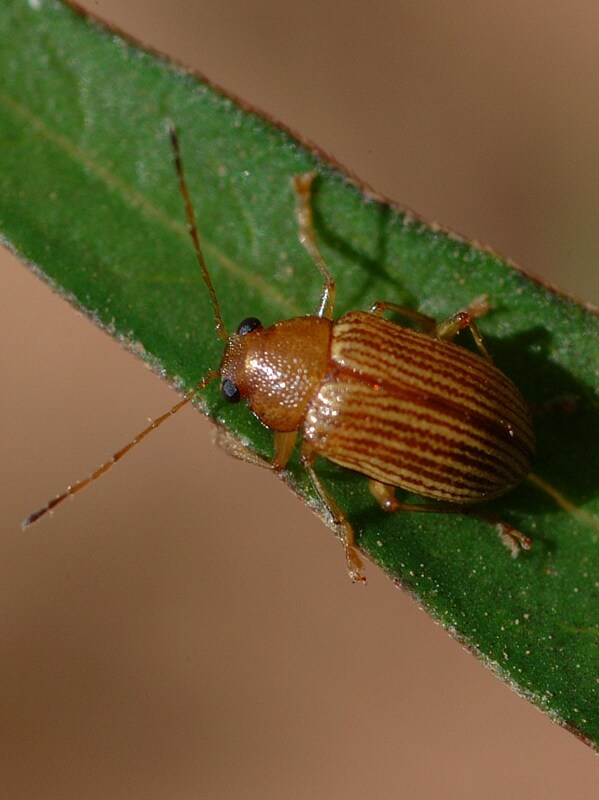 This is the adult of the Colaspis beetle whose grub feeds on the roots of rice. It was called the Grape Colaspis until entomologists determined it is not that species. 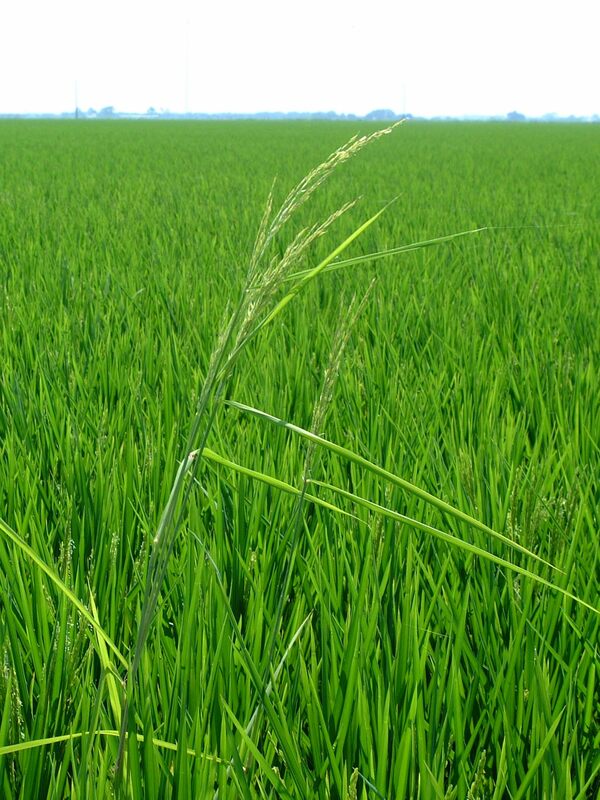 Until the actual identity of this rice plant can be determined I am calling it “crazy rice”. It is much taller than the CL151 in which it was found, it is glabrous (smooth), and the lemma (the big half of the hull) is awned. It does not fit any of the descriptions of wild rice I have studied. 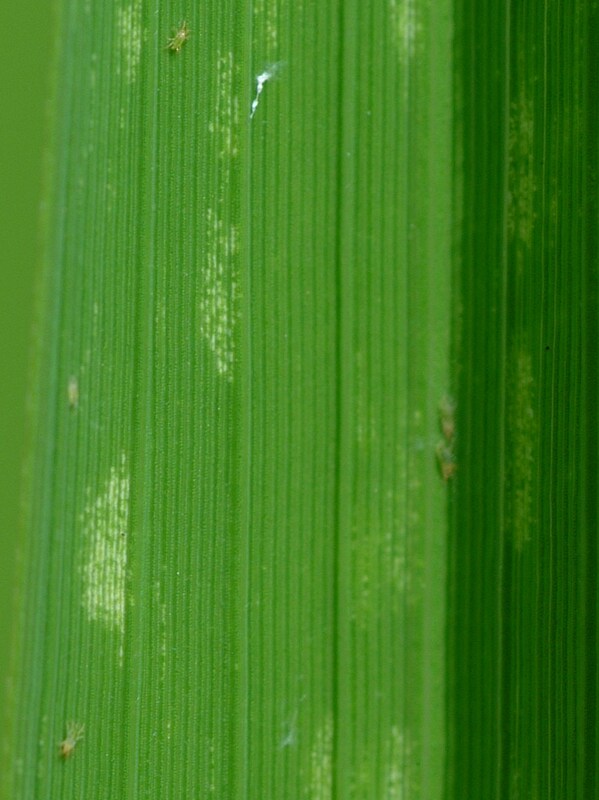 As mentioned in an earlier post, this is the first time I have seen spider mites in rice. In this image several are visible. I think if you click on the image you can enlarge it. Stuart Gauthier, county agent in Vermilion parish found them in one field along an edge. Initially I lost the actual sample, but we returned to the field and confirmed them. This year a lot of fields were flooded later than is recommended. 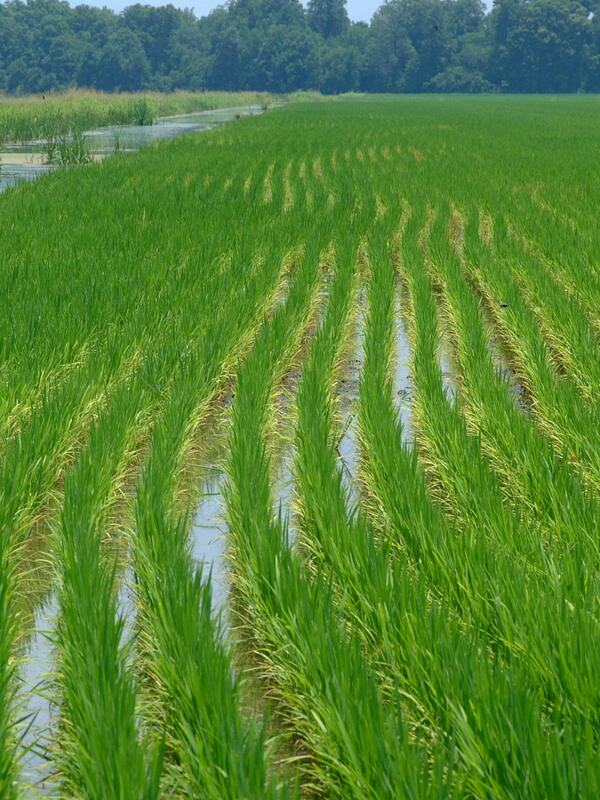 In this case it also meant nitrogen fertilzer was applied later than recommended. The combination of establishing permanent flood late and delaying nitrogen application caused the yellowing of the lower leaves visible in this field. The plants are also shorter than they should be at this stage of development. Water of guttaton always makes a good photograph. It is caused by the buildup of water pressure in the plant beginning late in the evening and continuing until early morning. 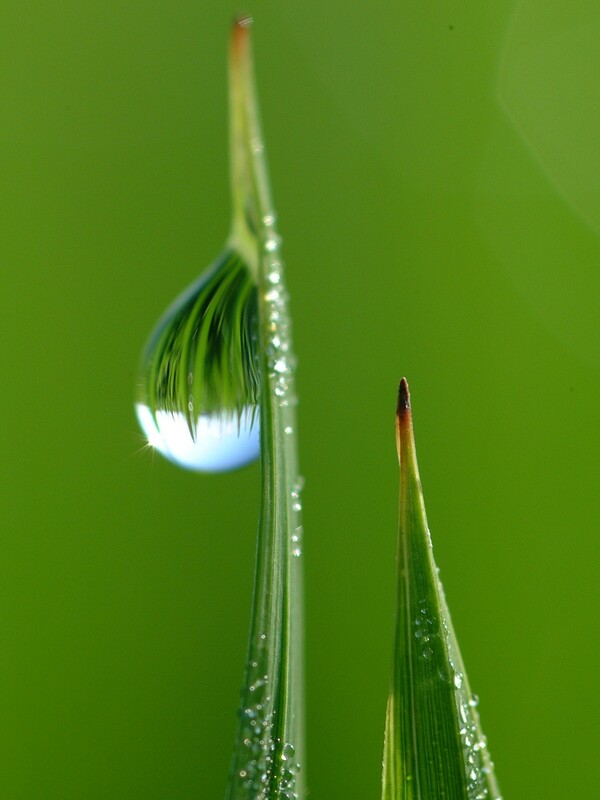 After daylight photosynthesis begins, the stomates open and a water deficit begins to occur in the plant. At that time the droplets may actually be drawn back into the plant through the pores called hydathodes at the margins of the leaf. More often they just evaporate or fall off the plant. This entry was posted on June 23, 2010 at 11:03 am and is filed under Uncategorized. You can follow any responses to this entry through the RSS 2.0 feed. You can leave a response, or trackback from your own site.